Edible gardening is growing at a ravenous speed. Home growers are hungry for quality information and the more local it is, the better. 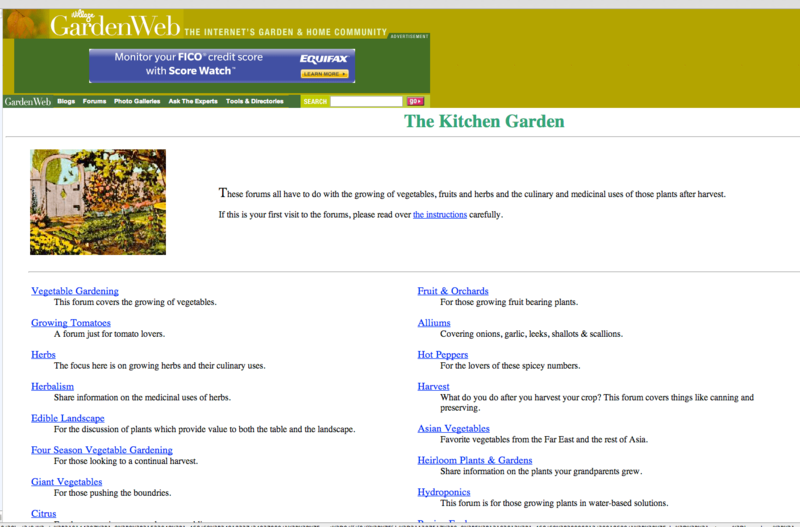 There are thousands of websites, blogs and video sites on the internet that are dedicated to vegetable gardening. So how do you know where to go to find useful information? A tree box is “recycled” as a raised vegetable garden! Websites, blogs and video sources. I tried to include sources that serve Â both cold and warm climate gardening areas. Do you see any of your favorites edible gardening websites in my video? What sites have you found online that are dedicated to edible gardening? 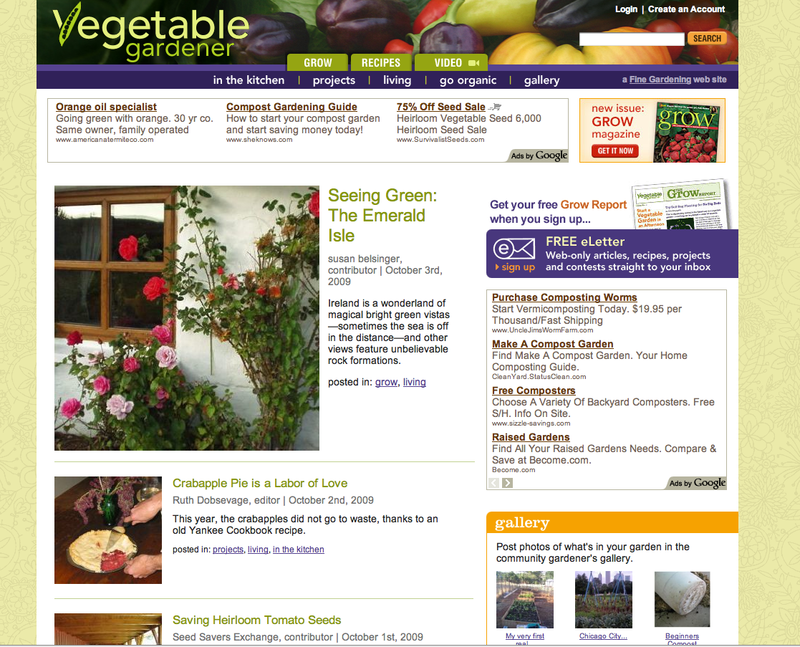 VegetableGardener.com brought to you by the publishers of Fine Gardening magazine. 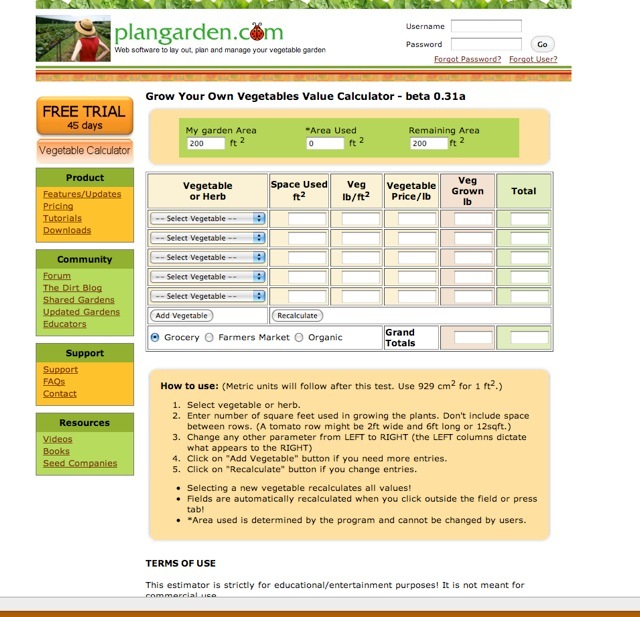 Very comprehensive information regarding growing, maintaining and harvesting your vegetables. The contributers are all reputable and respected experts in their field. Community features, photo galleries, blogs. Vegetable growing and an international community! Now I can get recipes for my “aloo gobi” and find vegetable growing tips from someone in India who grows bitter melon. The founder of this site, Roger Doiron was responsible for the “Eat the View” campaign that influenced officials at the White House to install a vegetable garden. I like “go getter’s” such as Roger so his site ranks high on my list! Learn from your peers and lots of professionals hiding behind interesting avatar names. I always find varied but for the most part, reliable information here. Consider the source, check their site if their name is linked to it. Tons of forums here and broken down into specific edibles such as “tomatoes,” “herbs,” and so on. Cold climate and warm climate gardeners will find relevant information and tips here. Kenny Point honed his expertise in organic food growing practices while working on a forty acre organic farm in Pennsylvania during the 80’s. He says that he started gardening as a child and has not stopped since. Kenny dishes out the nuts and bolts of gardening through hundreds of articles on his site as well as books that he has written. His gardening tips are useful for the general gardener but if you are in cold climate country, Kenny is your man! Christy Wilhelmi (last name rhymes with “will help me,” and with good reason- she does!). GardenNerd is my local “go-to source” in So Cal, but if you garden anywhere in the country that experiences mild winters, check out this site. Christy also offers “virtual garden coaching” via Skype so it really doesn’t matter how far you live from her, she can still assist you. 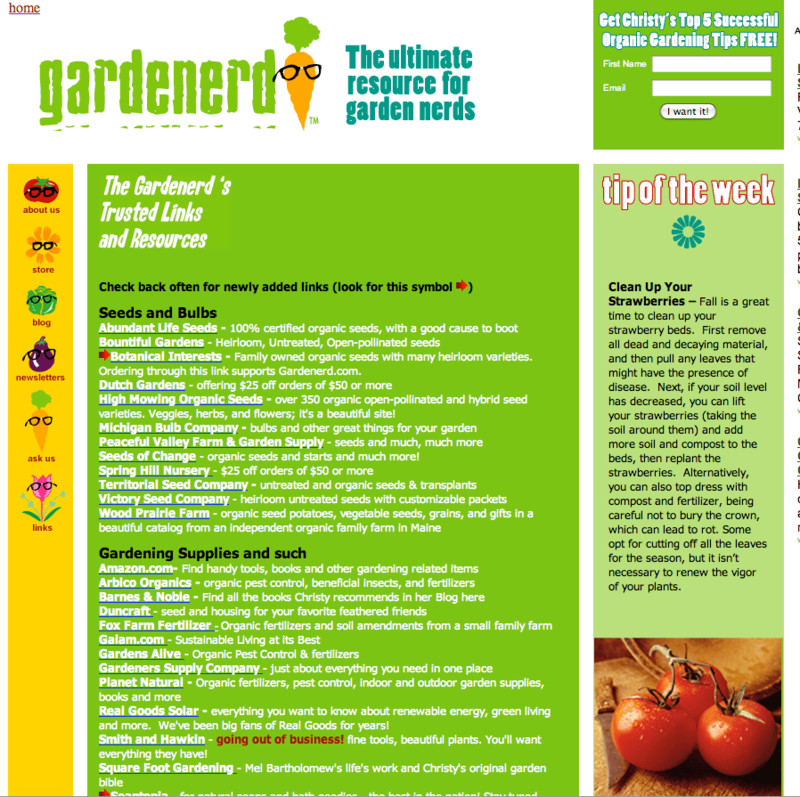 An innovative site especially dedicated to helping you plan and design your edible garden. Helpful graphs will estimate how many “broccoli seeds you need to feed a family of four” plus space efficient design ideas. Share your design with the PlanGarden community if you want or work on a collaborative design for your community garden. If I wasn’t a professional garden designer and needed direction, I would use their services. Free 45 day trial then you have the option to subscribe for $20 dollars per year. National Gardening Association- guide to edible garden. Sign up for your free regional updates! For me, that is the best resource on the site. “Urban sustainable living expert,” Patti Moreno has a whole library of edible gardening how-to videos. Patti also presents on keeping chickens, rabbits, goats and other small animals suitable for the city gardener. I enjoy her enthusiasm and passion for sustainable living. I interviewed Patti recently while in Chicago at the Independent Garden Center Show. 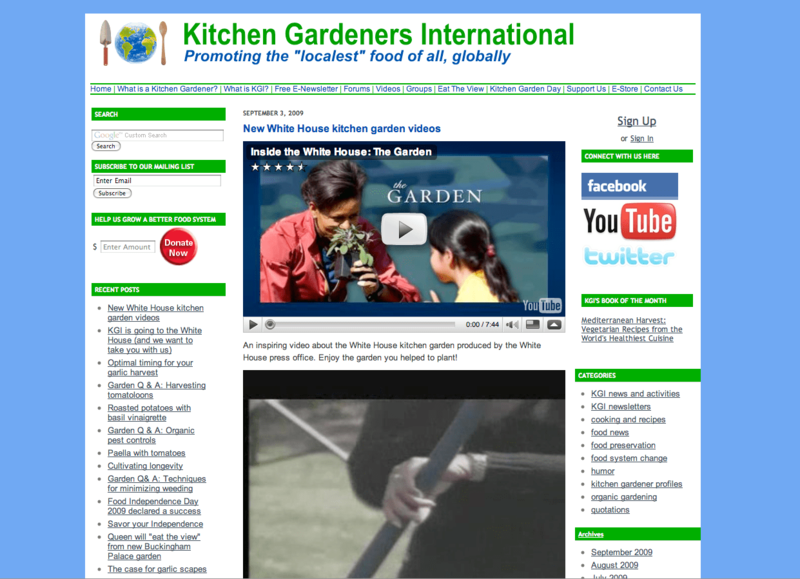 This international coalition of edible gardening enthusiasts also has a community garden video site where members can upload their videos. I enjoy watching and learning from other gardeners in different parts of the world and learning how they tackle gardening issues. Over 200 videos focusing on edible gardening, rearing livestock, self sufficiency and rural living. A slight lean towards warmer climate gardening. 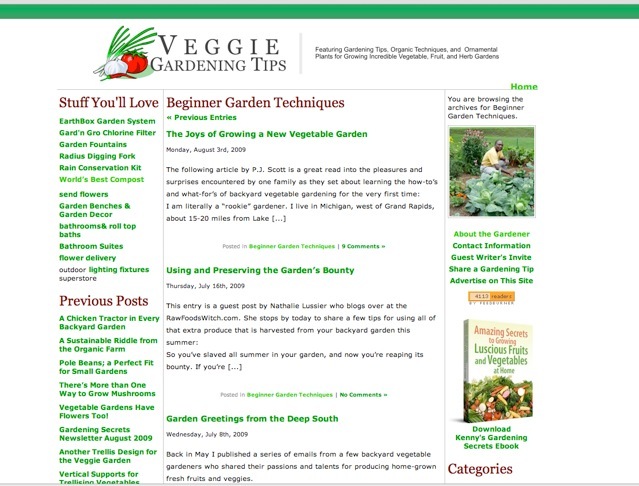 VegetableGardener.com has a growing library of how- to videos on edible gardening. I invite you to subscribe to Eden Makers blog for information on sustainable garden design, edible gardening, andÂ “out of the box” ideas for your garden. Watch my new online garden TV talk show, “Garden World Report w/Shirley! I'm interested in edible flowers,weeds, etc. Could we find out more about those types of edibles? I know there's a growing interest in foraging. Do you have any info on what's edible in your yard that's not in the typical garden? Thanks!